You can find these elbow pipes in the front of your engine (in driving direction ) between your heat exchanger and the heater control flap (that is connected with a cable to your dash control levers). Good condition of these elbows is mandatory to make your heater system work as it should be. Were happy we have found those parts now and added to our ever-growing program to keep your Volkswagen on the road! 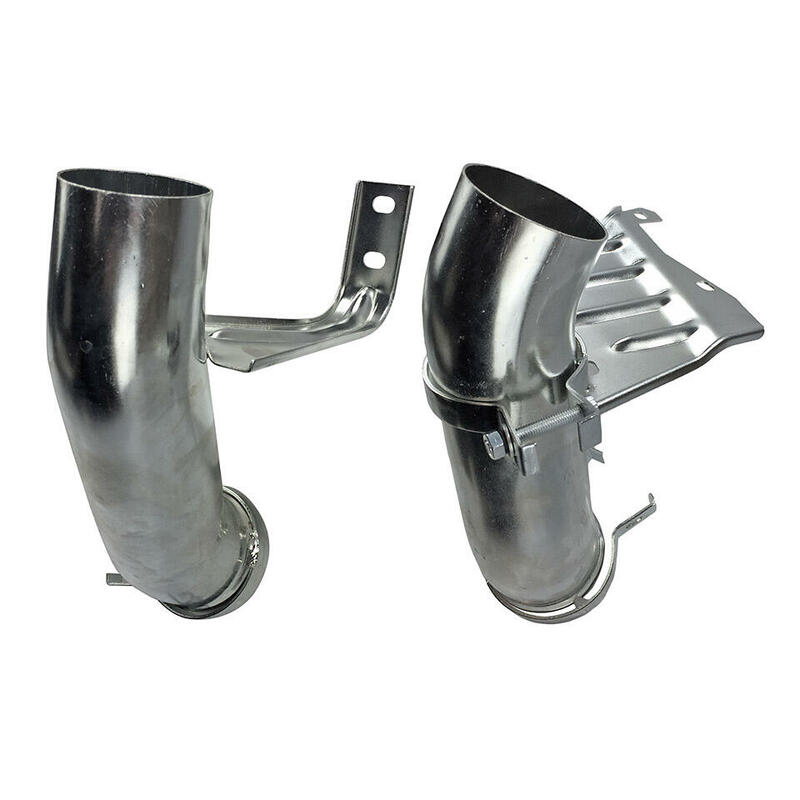 Sold per pair with a perfect fit on all of your aircooled Type 4 engines in your Bay window or T25/T3 vanagon bus!